Towards the end of October we had a few days away in Aberdeenshire, the north east of Scotland, just for a change of scene, again we were very lucky with the weather. 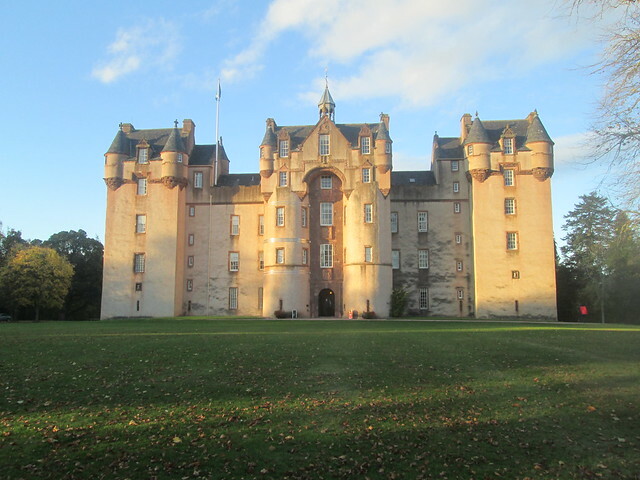 One of the castles that we visited was Fyvie Castle, as you can see it’s rather imposing and with its pepperpot turrets it has been influenced by French chateaux rather than the more brutal architecture of many English castles. 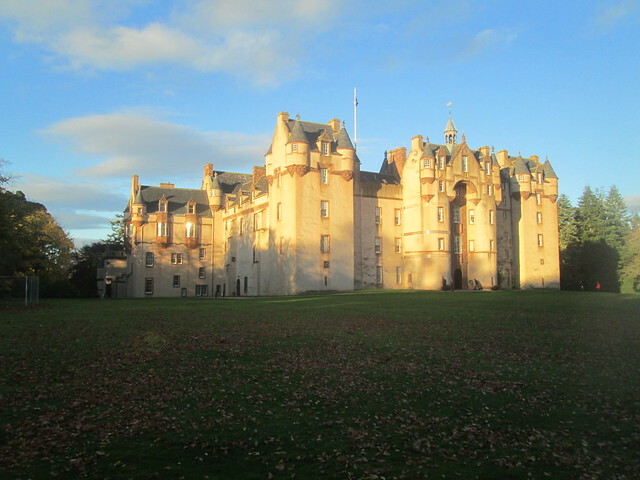 Fyvie Castle is now a Scottish National Trust property. 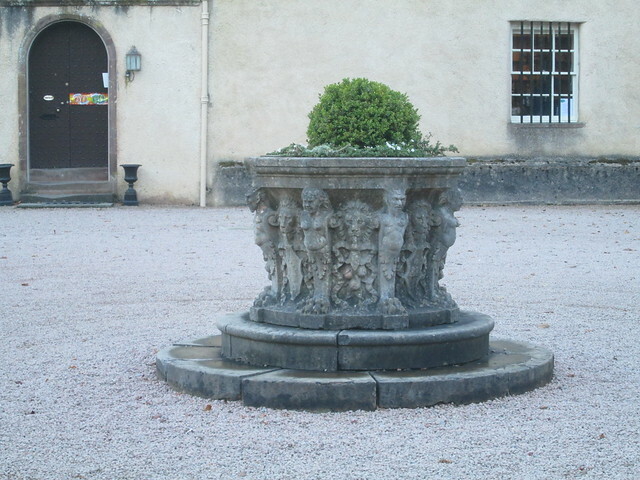 It started its life as a royal castle though and Alexander II stayed here in 1222. There’s been a castle here since about 1200 but that one was probably just made of wood. By 1296 when the English King Edward I visited the castle while doing his worst to Scotland it was built of stone and over the years it has changed a lot, being constantly extended by the generations of owners. This castle is fully furnished, quite sumptuous in parts and luckily nowadays visitors are allowed to photograph most of the rooms, but I’ll leave the interior for another blogpost. 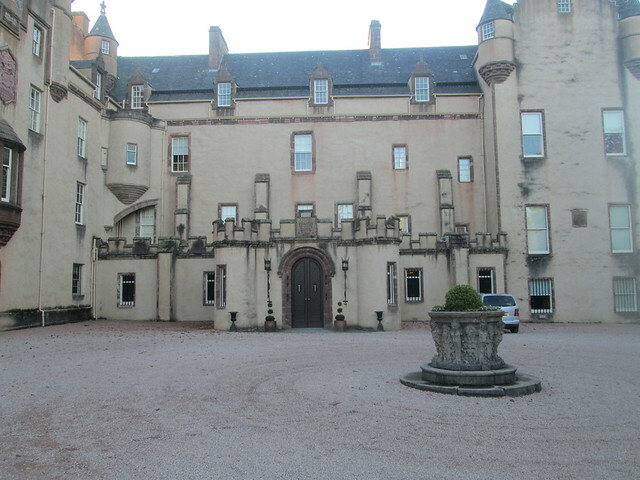 The castle design is now Scots Baronial as many of the previous occupants seemed to have a penchant for adding their own towers, it’s quite elegant I think. 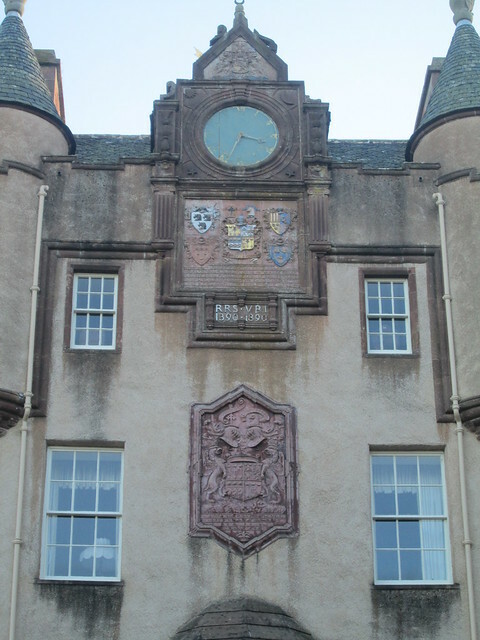 This entry was posted in Architecture, Scottish History and tagged Aberdeenshire, Fyvie Castle, Scots Baronial, Scottish National Trust by Katrina. Bookmark the permalink.